Immigrants or foreigners convicted of certain fraud crimes are subject to deportation or inadmissibility to the United States. Under INA 101(a)(43)(M)(i) fraud or deceit crimes in which the loss to the victim exceeds $10,000 is an aggravated felony. Pursuant to InA 101(a)(43)(M)(ii) an offense described in Internal Revenue Code Section 7201, relating to tax evasion in which the loss to the government exceeds $10,000 is an aggravated felony. These offenses are deportable crimes. An aggravated felonious offense is not considered to be fraud unless the fraud or deceit is a necessary, proven element of the crime. The amount of loss that the defendant was convicted of and not the amount of restitution, or other losses, governs whether offense is an aggravated felony. If you are facing charges or conviction related to the above-referenced crimes, contact an experienced immigration attorney to develop a strategy on how to minimize immigration consequences of possible violations. 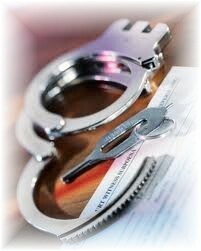 A state theft misdemeanor with the term of imprisonment for one year is an aggravated felony. A vehicle theft is considered to be larceny and, therefore, an aggravated felony. Under certain circumstances, a vehicle theft might be considered a crime of violence and, thus, also a deportable offense.